Having bad credit can take a huge toll on your life and your family. But, you can fix it! Read on to learn 10 tips for achieving a clean credit report. How does your credit report and credit score fare nowadays? If your score continues to decline, is there is a way to clean it up and get it back to a satisfying average? Nearly a third of Americans have credit scores lower than 601, which differentiates between bad and fair credit. These people have a hard time getting loans approved, so it’s important to keep a good score. The Federal Law gives you the ability to receive a free copy of your credit report once every 12 months. You can get these from the major credit-reporting agencies like Equifax, Experian, and TransUnion. You can get a free copy at the Annual Credit Report website. Order one report at a time and get another from a different agency every few months. This allows you to check your credit report throughout the year. If this is your first time, order all three copies at once. Checking for these can help you identify serious errors like incorrect social security numbers. Doing this helps prevent serious consequences if you address them as soon as possible. You need to watch out for accounts you don’t recognize. You need to verify if the accounts with negative information belong to you. The most likely possibility for this is that someone else’s account information got included in your credit report by mistake. Another thing you need to watch out for is an account with a higher balance than what you carry. You might be a victim of mistaken identity or identity theft in this case. If you have a history of collections, you might have an outstanding balance on your report higher than what you actually owe. A reason behind it is the booming secondary market for collections. If your credit card becomes delinquent, your issuer might give up collecting and sell your account to a collection business. Sometimes, the issuer doesn’t strike the balance from its records. This means that you’ll appear to have two outstanding debts in your records. If your debt gets bought and sold more than twice, the problem can multiply. If you find a big mistake that stains your clean credit report, you can try disputing it. Order your credit report from all the three credit-reporting agencies to see if the problem is with that one report. This helps you determine whether you need to take up your dispute with the agency or your lender. Someone’s information can get mixed up with your report. In this case, contact the credit-reporting agency for clarification. All these agencies have online dispute forms that you can use to resolve your credit report problems. Filing a dispute is important to clear up the stains from your clean credit report, but you need to do a follow-up. Document everything since these notes can help you when speaking with credit-reporting agencies and lending businesses. Check the date you contacted them and see the date where you expect them to correct the problems. Check your credit report after that date and see if they went with it. An inquiry shows up on your report whenever you apply for either a loan or a credit card. It can show up if you enter a service contract for a cell phone plan or Cable TV. It has little impact on your credit score so it’s not something you need to worry about. Contrary to common sense, leaving old debt from your credit report is a good thing. It’s always a good choice for you to leave the debt you handled well in your report. It improves your credit score, especially if you have a long history of having good debt. Having your good debt for as long as you can in your report is the same as having a clean credit. 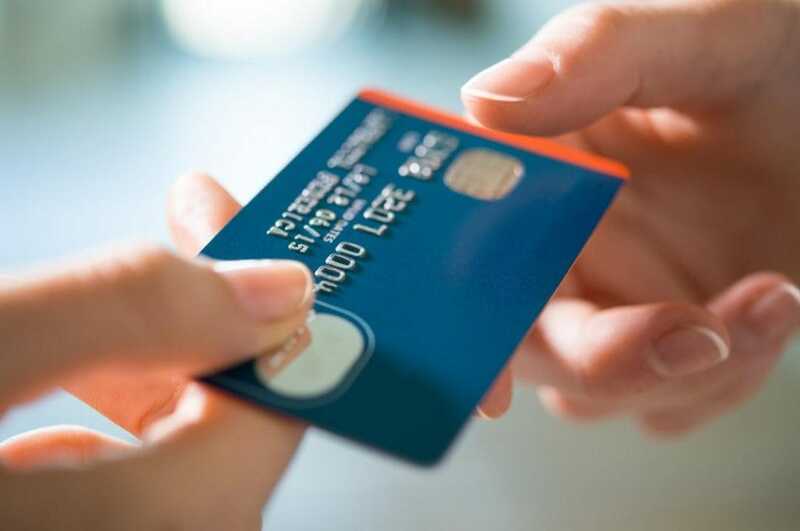 Rebuild your credit credit cards are good options to achieve this goal since they let you separate the money for your everyday needs and the cash for paying debts. Getting approved for these is easier too since a bad credit history is already taken into account. It’s always important to pay the bills on time since past-due bills can net you some delinquency entries on your credit report. It damages your clean credit, but often it’s easy to fix. The most effective way to deal with it is to start with the ones that are most past due since they contain the most damage. When your account gets sold to a collection agency, your lender might declare your debt as charged off. It means that it’s unlikely for you to ever repay the debt. When it comes to a clean credit report, this has a bigger negative impact compared to late payments. Clearing this type of debt is harder than delinquencies, but it’s possible. If your lender is willing to settle, contact them so you can pay using certified funds. With luck, they’ll get the item deleted from your report. Get a Clean Credit Report Today! If you’re looking to have better credit scores, you need to clean your credit report and maintain it. Aside from these tips, you need to practice good financial decisions to prevent problems with your credit card company due to delayed payments. Managing your finances isn’t difficult as long as you know the things you need to prioritize. Do you need more tips about homemaking and the like? Visit us today to read more and lead a better lifestyle today!